AFOREMENTIONED RIVERS ABOVE FLOOD STAGE FOR THE NEXT FEW DAYS. AREA, AND ARE SUBJECT TO CHANGE WITH RAINFALL FORECASTS. THE FLOOD WARNING CONTINUES FOR THE GUADALUPE RIVER NEAR BLOOMINGTON. * AT 2:00 PM THURSDAY THE STAGE WAS 13.8 FEET. FALL BELOW FLOOD STAGE BY MONDAY MORNING. JACKS, AND SECONDARY ROADS NEAR THE RIVER MAY BE FLOODED. BOULDER, Colo. (AP) — A former assistant football coach for the University of Colorado has been sentenced to 30 days in jail for assaulting his ex-girlfriend. 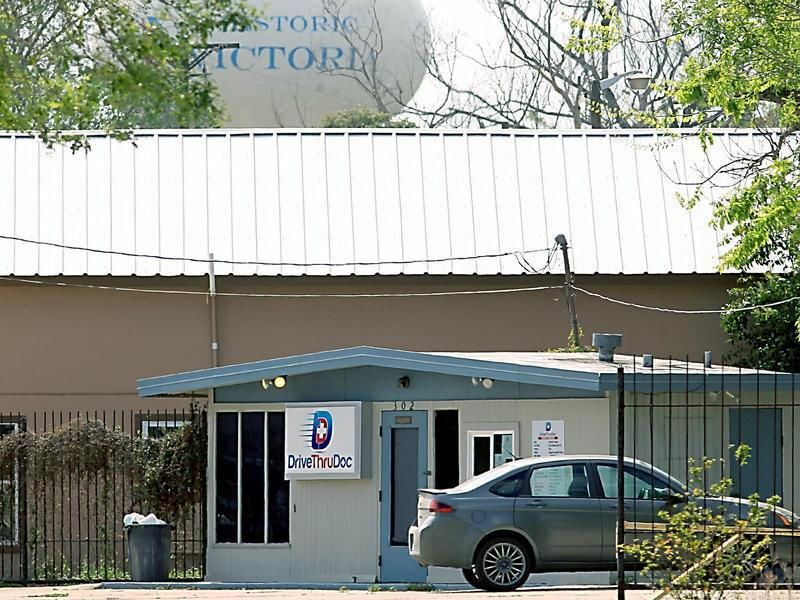 A former Victoria doctor whose Texas medical license was revoked in 2018 could be reinstated after a judge found a state agency improperly sanctioned him through an unconstitutional search and seizure. Parents of Liberty Academy students in the Early College Center program want answers from the school district. Citizens Medical Center plans to use natural gas-powered generators that will allow the facility to run at full capacity during a power outage, the county hospital’s board agreed Wednesday. The Victoria Police Department’s 911 call center experienced trouble receiving some cellphone calls Thursday. The Yoakum Police Department is looking for a man involved in an aggravated robbery Thursday morning at Tiempo Loans. A popular Victoria appliance store has moved into a brand-new location after outgrowing its previous building. Point Comfort must pay an almost $24,000 fine for discharging more pollutants than allowed from its wastewater treatment. An autism awareness walk will be from 10 a..m.-1 p.m. Saturday at the Victoria school district track, 1002 Sam Houston Drive. Have you noticed that the “age of beige” has passed? We seem to be in a world of gray, which is the new fashion color for home furnishings, clothing and accessories. Perhaps now is the time to bring gray outside and into the landscape. Extinction is a well-known phenomenon that has become a hot topic for debate as climate change poses an ever-increasing threat to our planet. A Victoria man who assaulted his wife has avoided a prison sentence by accepting a plea deal just as his trial was beginning. With a couple of new faces in the mix, the University of Houston-Victoria Jaguars men’s golf team is set to compete in the RRAC/A.i.i. Golf Championships on Monday and Tuesday at the Republic Golf Course in San Antonio. YOAKUM – Ashley Taylor was so busy at the Jack Adcock Gobbler Relays she had to run from event to event. Want to send us information? Click on the buttons below to send us photos, stories, videos or press releases. The city of Victoria and County of Victoria have proclaimed April 25-27 as Texas Master Gardener Association Days in the city and county of Victoria. For Christians around the world, Easter and its preceding Holy Week is the most significant observance in the faith. AUSTIN – Texas music venues may soon see some tax relief depending on the success of a bill in the Texas legislature. Bella Bakery and Bistro, a cafe in downtown Victoria, announced Tuesday it was closing. 'Amazing Grace' Review: Aretha Franklin's 1972 recording of the best-selling Gospel album of all time is captured in this moving documentary. A Pure gem. Aunt Rose was definitely one of a kind and she will be truly missed! She was loved by everyone and she loved us all back. RIP Aunt Rose until we meet again. The Lavaca Bay Foundation will learn about the importance of freshwater flowing from rivers to estuaries Thursday. HALLETTSVILLE – James Migl pointed a kind of cap gun into the air. The Coast Guard released two rehabilitated sea turtles near Port Aransas on Friday. Cheatin’ can lead to a world of trouble in real life, but onstage, “Cheatin’” is more likely to cause hilarity. Here’s who we spotted at the Nave Museum for the member preview of Neva Rossi’s Pastelli Vibranti exhibit. Join us every weekday as we talk about what's going on in the news world.